Online slots are the main form of gambling entertainment for many online casinos and the popularity of these games is increasing year on year. More than just a form of entertainment though is the potential for big winnings. Read our tips and tricks to find out how to win online casino slots games more often. 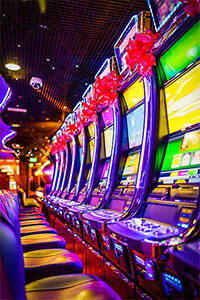 Online slots are one of the most exciting ways to gamble and the potential winnings can often be huge. This is why online slots are one of the fastest growing forms of internet casino gambling currently available to all players. Slots are essentially random games, but by following our tips and tricks you can improve your chances and have a winning online slots experience. Find out the tricks to use in our comprehensive guide including how to play slots and what kind of strategy to employ in order to boost your winning potential. There was a time when slot machines only existed in bricks and mortar casinos. These machines were fairly rudimentary when compared with their modern counterparts and while there are video versions of these classic games widely available, there are now many more exciting ways to play a fruit machine. Symbols on original slot machines often included fruit (hence the fruit machine nickname), bells, bars and lucky 7s. These symbols have survived in many cases and are still featured in many online slots, but there are often symbols that you might never have seen before which have been thrown into the mix. Gone are the days where there is just one winline in the middle of the reels and gone are the days when a machine had only three reels. There are still examples of this kind of slot machine both online and offline, but five reels is now pretty much the standard in the gaming industry and there are even some with ten reels or more. As for winlines there are still slots with just the one, but most have multiple ways to win which in some cases can be as many as 243 different combinations. There are even machines which have winlines running right to left as well as the traditional left to right way. There are slots which resemble classic machines, there are Vegas-style slots which give you an at-home version of gambling in the City of Sin, and there are the most popular kinds of slots – video slots. Video slots generally have a theme and many are based on popular TV shows, bands or films. Progressive jackpot slots are a popular way to try and become a millionaire. Every time you spin the reels a small portion of your stake goes into the pot which is shown at the top of the screen and is also contributed to by other players on the network. Six and seven-figure jackpot sums are won on this kind of slot machine fairly regularly. Online slots are very easy to play. Before you start you need to determine the coin size and number of coins you wish to play for with each spin and how many lines you wish to play (if there is a choice for this option – sometimes it is a fixed number of lines). This can be done once the slot game has been opened in your browser. Each game is different regarding how to win. With five reel slots it is generally possible to win with a combination of three or more of the same symbol on an active winline, but in some instances only two are required. It is a good idea to look at the payable to learn what the winning combinations are and how much you can win for each combination. 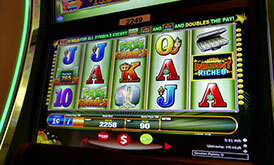 You will also find symbols such as Wild or Scatter on most online slots. Wild will help to create a winning combination by replacing any other symbol (except Scatter in most cases) and can be the slots player’s bet friend in a lot of instances. With Scatter, you generally don’t need to see them all on the same winline; it is enough to have three or more of the symbol visible anywhere on the screen. Scatter generally starts a bonus round and this is where more money can be won. You should read the rules of any online slot machine before playing to ensure you understand the game. If you want to know how to win online casino slots games then you’ve come to the right place. First of all, you should choose to play on a site that gives new players an amazing slots bonus. There are many to choose from and often you can have a first deposit doubled up to $500 or even higher. Many online casinos give free spins on some of their slots to new players. Anything that can help you build up a slots gambling war chest will get you off to a good start. Be aware that there are terms and conditions to casino bonuses and the amount you are given will need to be played several times before you can withdraw any of the amount. You can read about these conditions on each casino’s website. Because you’ve got free money with which to play, one of the greatest online slots tips is to play for a higher stake. Many online slots pay small wins regularly and of course if you increase your stake these small wins will become larger. Some players swear that playing one spin for the maximum stake is enough before moving on to the next slot. This all or nothing approach might sound risky, but as every spin has as much chance of yielding a win as the next then this trick is a quick way to either win or lose. You should play a slot machine in practice mode before you start to play with cash. When you do this, you should keep a record of how much you win and how often a win of any kind occurs. Try with different staking levels too as there are often certain levels of staking which will yield slightly more than the average number of wins – it is rarely minimum or maximum stakes which yield the highest win percentages. Find out which way of playing produces the highest statistical likelihood of winning – this will take time and you will need to play at least 100 spins, but ideally more, to get a good idea of which is best. Don’t forget to record your results. As with all other forms of gambling you should always keep a level head when playing slots online. Never play when angry or intoxicated and never chase losses by playing with more can you afford. The tricks to winning at online slots are being calculated with your actions and careful gameplay. You should avoid progressive jackpot machines. True, there is the chance of winning enough with one spin to be able to retire, but the chances are slim. Because the jackpots are high with this kind of slot machine there are fewer small wins as a consequence. Small wins are a slot player’s bread and butter and keep your bankroll intact. 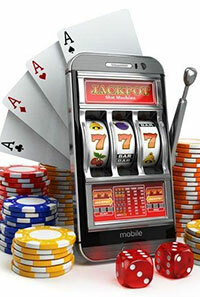 It is advised that if you want to keep winning online slots games that you should stick to standard video slots. The regular jackpots on these machines are still well worth winning. You should determine a staking level before each session and stick to it. Unlike other forms of casino gambling there is no advantage in doubling up or increasing your stake following a loss. One of the tougher online slot tips is walking away when it’s going bad. You might have set yourself a limit to with which to play in one particular session and you might be nowhere near reaching it, but sometimes you just know when it’s not your day. Losing streaks come to an end, but don’t throw too much cash at a game that just feels like it’s going badly. Conversely if you seem to be doing very well, don’t walk away. Even if you just won a large payout there is the chance of winning more. Each spin is random so there is nothing stopping two bonus rounds or two jackpots in a row. A good player knows the tricks of predicting good and bad playing sessions. You should always check the RTP (return to player) of each online slot machine. A higher percentage will give you a greater chance of winning. Online slots generally have a higher RTP than slot machines found in bricks and mortar casinos and a payout percentage of 95% or more is very good. This means that for every $100 the slot machine takes, it pays out $95. This is over time and by no means suggests that you will lose $5 every time you play $100. There is no real way to guarantee a 100% winning strategy for online slots, but if you practice our online slot tips and tricks you will be on the right track and you will certainly win more cash more often.